Company Bio: 434 Marketing was founded by Dustin Slightham and a team of minority partners in 2011. The company began with the debut of the app “Carrot Saver” and the Digital Agency “Carrot Creates.” Since rebranding as 434 Marketing in 2015, the company has grown from a developer of mobile apps, software, and websites into a comprehensive marketing operation that works closely with businesses to develop specific strategies for using these tools. The company was recognized as the Tech Council Entrepreneur of the Year in 2014 and as the LRBA Small Business of the Year in 2017. 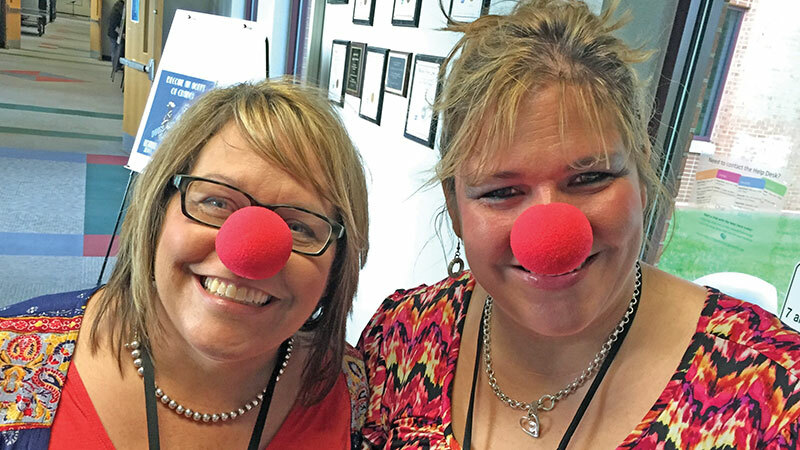 Workplace Culture: 434 Marketing boasts a fun, collaborative culture. Team members work in the same room, go out to lunch together, participate in foosball tournaments together, and are welcome to bring their dogs to the office every Friday. The company is intentional about creating a safe and supportive space for its employees and about equipping employees with the skills they are interested in acquiring. Community Impact: 434 Marketing works to add as much value as possible for their clients, many of which are local small businesses, by often working additional marketing hours for free, creating fonts, and offering discounted or pro bono marketing for nonprofits. Employees also volunteer at organizations such as Lynchburg Daily Bread. Company Bio: At Advocates for Children, the goal is to create a nurturing atmosphere and provide individualized care for each patient and family. The practice offers services to children from birth through age 21. As a small practice, they are equipped to provide more personalized care, focus on patient education and implement alternatives to prescription medications. Additionally, they have a separate practice that is dedicated solely to treating children with autism. Workplace Culture: Although the atmosphere is relaxed, it is also very professional. They value one another’s experience, natural gifts and personality types. As a family-friendly practice, the office is warm, welcoming and simply feels like home. Tosh, their office dog, adores everyone and gives furry cuddles to patients after a shot, procedure, or to anyone who just needs puppy love. The employees also look out for one another—such as when an employee takes a sick day or a mom needs to stay at home with her children. Community Impact: The practice creates a welcoming environment for children with a comfortable and relaxed setting that is free from “the white coat syndrome.” Many times, when new patients walk through the door, they comment on how the office feels like a home. 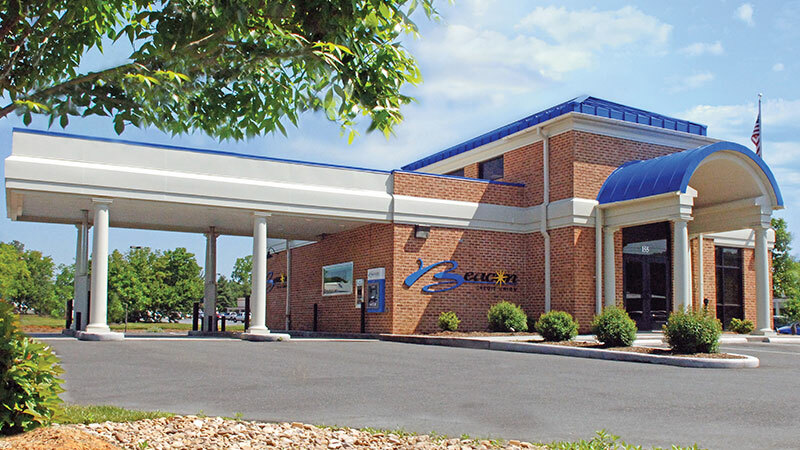 Company Bio: Beacon Credit Union is a full-service financial institution that offers its members services such as online banking, savings and checking accounts, and a range of loan options. 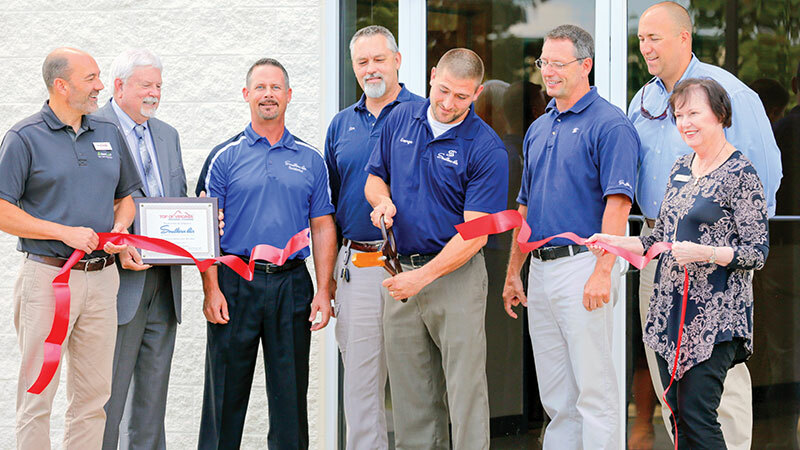 Having served the area for more than 79 years, Beacon strives to create products and services that benefit its members, who are the stakeholders in the organization. Workplace Culture: Employees on the frontlines of the organization are empowered to make decisions in solving issues for their members. Instead of having to pass problems up to higher levels of the company, team members are given authority to directly assist members and solve their problems on the spot. The company also offers a generous benefits package that includes competitive pay, retirement plans with up to a 6% match, healthcare options, and flexible paid time off. Community Impact: Beacon supports nonprofits in the community such as the Lynchburg Humane Society, Boys & Girls Club, and the YMCA. The company encourages volunteerism by allowing employees to trade volunteer hours for paid time off throughout the year. Beacon supports CASA of Central Virginia by sponsoring its Superhero Run. Also, each year, Beacon awards five, $2,000 scholarships to students in the community. Company Bio: Brown, Edwards & Company, L.L.P. is a regional accounting firm formed in 1967 through the merger of the accounting firms of Fred P. Edwards Company and C. A. Brown & Company, whose histories date back to the 1920s. Inside Public Accounting named the company one of the “Top 100 Firms” in the nation, and Accounting Today named it one of the “Top 10 Fastest Growing Firms” in the nation. Workplace Culture: Brown Edwards offers a comprehensive benefits package for employees combined with individualized professional development and training. The company also has an open-door policy that encourages employees to communicate with leadership, and it strives to provide team members with work-life balance. Community Impact: The company is dedicated to helping its clients achieve and maintain success, which benefits the business community as a whole. In addition, every month, the company chooses a different charity that employees support. The office closes for the annual “Day of Service” to allow the team to work on a service project. Employees are also encouraged and supported financially to join boards that are important to them. Company Bio: Genworth focuses on helping their customers explore different caregiving options, grow retirement income, and prepare for financial challenges that can come with aging. The company services long term care insurance, annuities and life insurance. Workplace Culture: The Lynchburg office is the center of operations for Genworth’s U.S. Life Insurance division. Presently, the facility is undergoing a phased renovation designed to encourage collaboration and resource sharing. Genworth operates like a family, with each employee supporting one other. Their culture is also shaped by the sincere belief that the work they do is vitally important and contributes to the greater good. At Genworth, leaders believe good ideas can come from any employee in the organization. 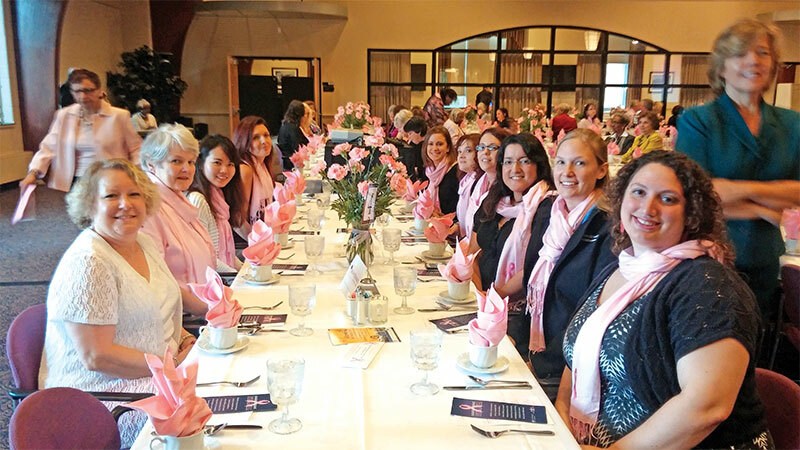 Community Impact: Genworth encourages volunteerism. Each employee is allotted 40 volunteer hours to use in whatever charitable capacity their passion leads them. Additionally, they are the title sponsor of the Genworth Virginia 10 Miler, which will be held again this year in September. In Their Words: “We are proud of our reputation for outstanding customer service and for our community involvement,” said R.B. Carter, Senior Manager, Life Insurance Customer Service. Company Bio: Horizon Behavioral Health provides clinical services to more than 9,000 adults and children in Central Virginia. Through its outreach programs and events, it works to reduce the stigma surrounding mental health and encourage individuals in the community to seek treatment and improve their health. Workplace Culture: Horizon invests in its employees through creating a work environment that ensures continuous learning, and employees receive training in evidence-based practices. 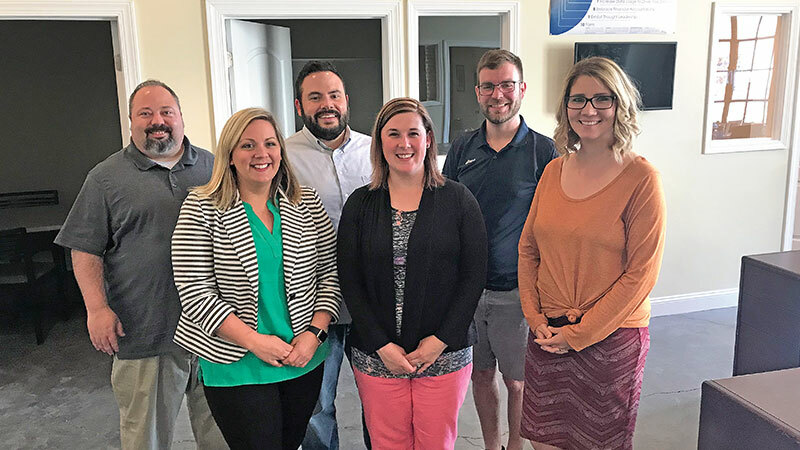 The company launched its CEO/Wellness Challenge that encourages team members and those in the community to eat well, exercise, and take their medications as prescribed. Horizon offers a generous benefits package that includes four health insurance plan options, dental care, participation in the Virginia Retirement System, and leave policies. 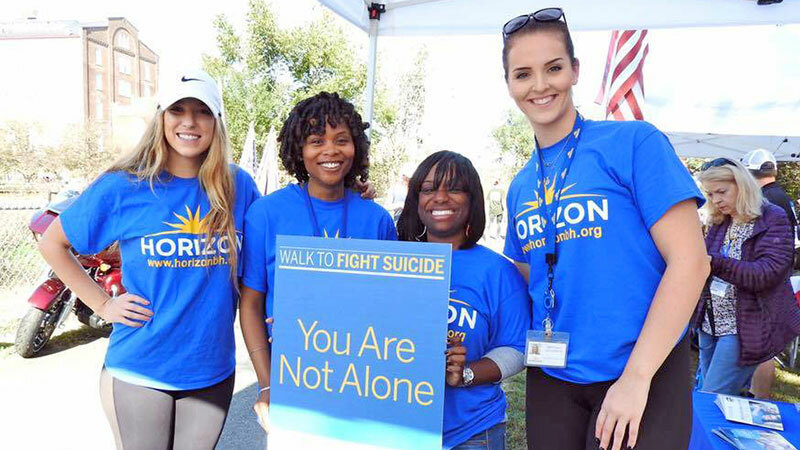 Community Impact: Horizon holds events and programs in the community that focus on mental health and substance use prevention. REVIVE! is offered free of charge and educates the community on opioid overdose and naloxone, a prescription medication that can reverse the effects of an overdose. The Mental Health First Aid program teaches the community how to assist someone who may be in the early stages of developing mental health problems. The organization also partnered with the Appomattox County Sheriff’s Office and the Appomattox Kroger for Drug Take Back Day to provide people a safe means of disposing prescription drugs while also educating the community about the potential for misuse of medications. Company Bio: 501(c)(3) nonprofit Impact Living Services was founded by Paul Tesi in 2012. 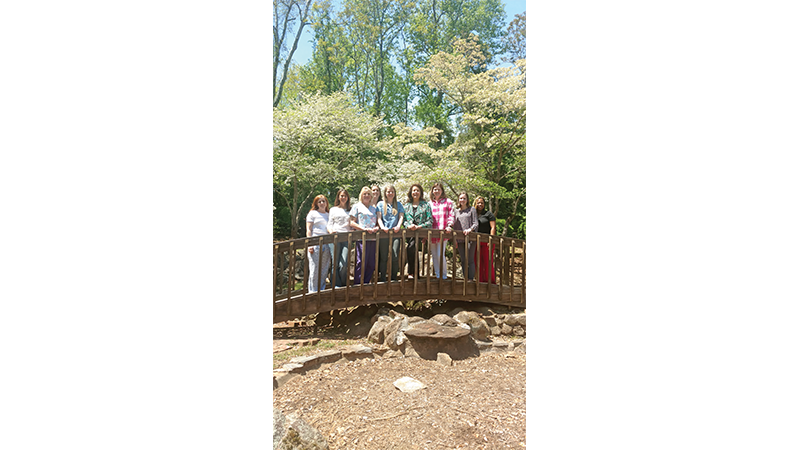 The organization works to provide independent living services to young people in and around Lynchburg and operates under the principle that no youth wants to participate in a program, but rather desires to become part of a lasting community. Employees have extensive experience in home counseling and in operating residential facilities, directing independent living arrangements and licensed child placing agencies, and serving as foster and adoptive families. 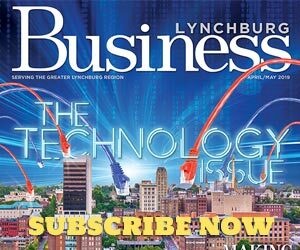 The nonprofit introduced outpatient counseling and therapeutic mentoring in 2014 and was recognized as one of the top local nonprofits by Lynchburg Living in 2017. Workplace Culture: The employees create the culture by supporting each other and working together to turn ideas into action—they are encouraged to bring up, develop, and change ideas. Impact’s small size allows for accessibility and communication on all levels, and a generous leave policy gives employees the freedom to produce exemplary work in a flexible manner without micromanagement. Community Impact: Impact Living Services provides an array of behavioral health and foster care services to youth and families in the Lynchburg community. These services, which the nonprofit provides on a daily basis, have the power to change a person’s life. Specifically, the organization offers apartments, resources, and skills to youth aging out of foster care and counseling, mentoring, and coaching to families in need. Company Bio: As the leading national telepsychiatry service provider organization, InSight Telepsychiatry has served hundreds of organizations nationwide with the mission of transforming access to behavioral health through innovative technology. Some of their services include telepsychiatry for hospitals, mental health centers, correctional settings, substance use treatment centers, universities and schools, health systems, accountable care organizations, skilled nursing facilities and primary care centers. Aside from Virginia, InSight also has locations in 27 other states. Workplace Culture: The work environment is flexible and varies depending on an employee’s role and location. 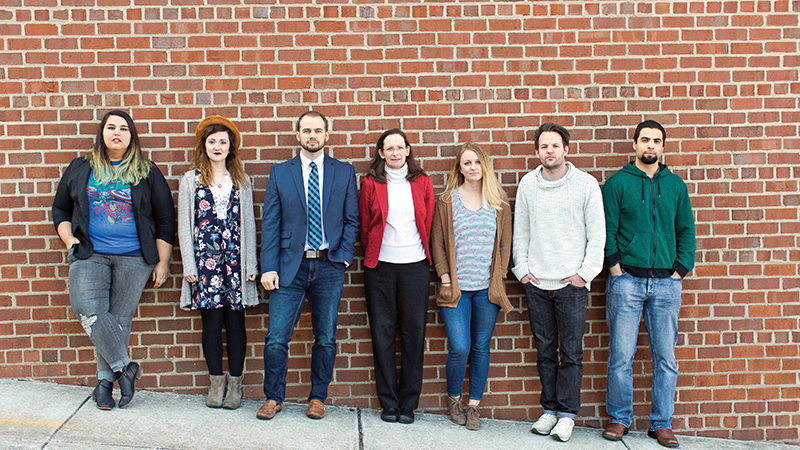 At the Lynchburg office, everyone is very friendly and collaborative. They value “bouncing ideas” off of each other and finding time to connect socially. With offices all over the country, they stay connected by utilizing videoconferencing technology. Community Impact: InSight strives to build relationships with mental health organizations and providers in the community. They promote awareness and introduce people to the mental health resources that are available. Company Bio: Lauren Bell Real Estate is a boutique brokerage company that focuses on buying, selling, and investing in real estate in the Central Virginia area. It features seven realtors who work in neighborhoods such as Lake Manor Estates, Cottontown Manor, and Sleepy Oak Park Villas. Workplace Culture: As a small firm, the agents at Lauren Bell work collaboratively during the buying and selling process. The company markets individual agents, as opposed to the company as a whole, which provides effective outreach for its realtors, and they have direct access to Bell, who can offer her expertise as the broker in providing real estate services. Agents and employees enjoy perks such as dinners, company trips, bonuses, and benefits that include health care coverage, paid time off and holiday pay. Community Impact: The company strongly supports Freedom 4/24, an organization that works to bring freedom to victims of human trafficking. 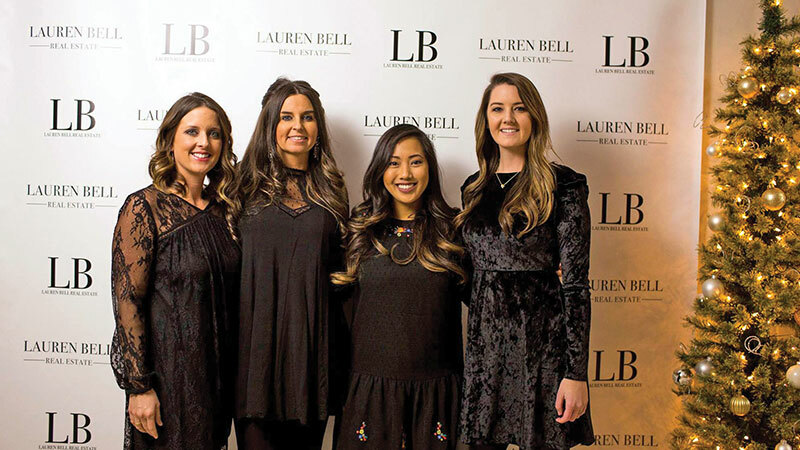 Last fall, Lauren Bell Real Estate raised over $10,000 at the Frocks 4 Freedom event they hosted at the office. The company also hosts an annual Christmas party that features a silent auction, which last year raised $4,000 for the nonprofit. Lauren Bell Real Estate also supports sending Freedom 4/24 volunteers on mission trips. Company Bio: Lynchburg College, soon to be known as the University of Lynchburg, was founded by Joseph and Sarah Hopwood in 1903. After decades of steady growth, LC now boasts 2,800 students, 40 majors, and nearly 20 graduate programs. 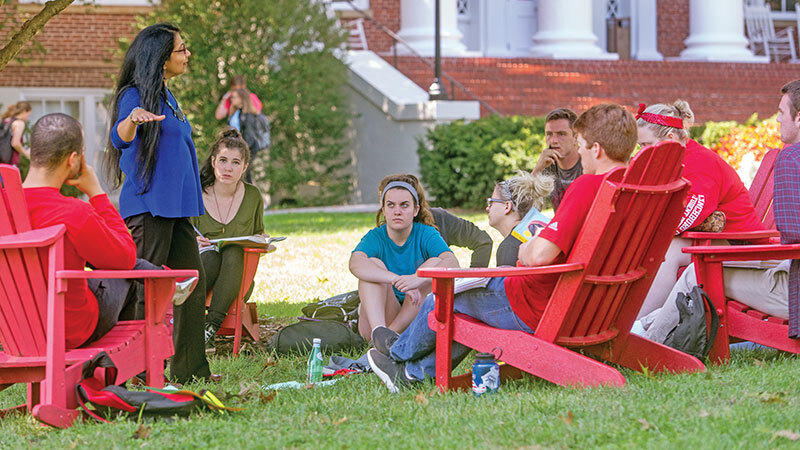 Lynchburg College is recognized as a top university by The Princeton Review and U.S. News & World Report and is one of 40 universities recognized in the book Colleges that Change Lives by Lauren Pope. The college completed a $12 million expansion in 2014 and will begin construction on a new residence hall this summer. 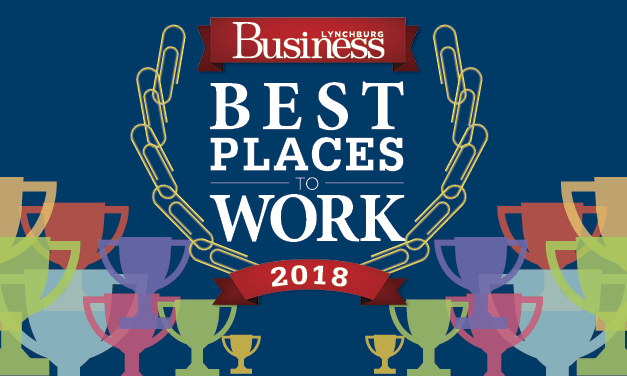 Workplace Culture: Lynchburg College offers generous benefits packages including retirement savings and health care, encourages intellectual growth by offering free classes for employees and their families, and strives to provide its employees with work-life balance. The college maintains a welcoming atmosphere by hosting a family picnic each summer and by offering dining hall meals and admission to events for free or at a discounted rate to employees and their families. 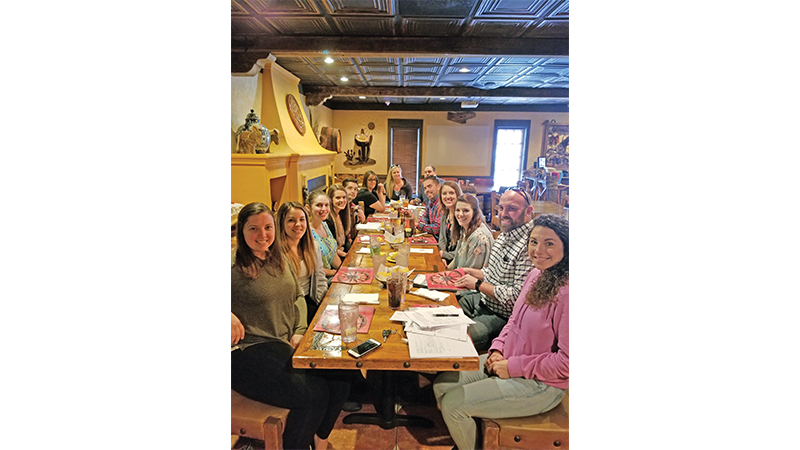 Community Impact: LC employees and students volunteer more than 40,000 hours every year in and around Lynchburg, and faculty and staff are recognized for their volunteer efforts. The college also enriches the community through its cultural offerings, which include theatre productions, art exhibitions, and concerts. Company Bio: With a no-kill policy and a mission to care for lost and homeless pets, the Lynchburg Humane Society cared for over 4,000 animals in 2017. Embracing the vision of having a community that is free of homeless and neglected pets, they offer a variety of services to the community, including: lost pet services, pet owner assistance, pet training, pet behavior resources, a spay and neuter clinic, pet end-of-life services and pet-friendly housing resources. Workplace Culture: Their slogan “Find Happiness” does not only apply to the animals they care for, but also to the people they serve, and the people they serve alongside. The staff is hardworking and united by a passion for their cause. They are not just co-workers, but a team—collaborating and listening to each other’s suggestions and new ideas. The atmosphere is different than a lot of working environments. For one, workers can bring their own pets to work with them anytime. 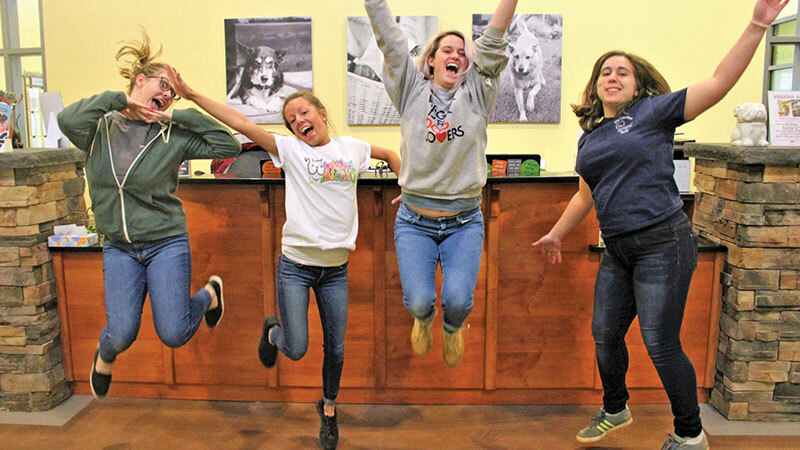 Community Impact: Throughout the year, the Lynchburg Humane Society hosts a variety of community outreach events such as summer camps, birthday parties, parents’ night out programs, art shows and many others. Their Facebook page has over 27,000 followers, and they are always seeking creative ways to involve people at the center. They look at themselves as more than just a humane society, but also as a center that provides services to the community. Company Bio: Southern Air serves commercial and industrial facilities by designing and installing heating, air conditioning, electrical, plumbing, and piping systems. The company was founded in 1946 to provide residential heating services, and now works with educational institutions, churches, residential properties, and more as a mechanical and electrical contracting company. Workplace Culture: Southern Air prioritizes the safety of their team by holding safety orientations that include 16 key topics. Before working in the field, employees conduct planning sessions that identify potential hazards. The company has been granted numerous safety awards, including the Associated Builders & Contractor’s “Paragon Award” for excellence in safety. At work sites, the company has optimized work processes so different teams such as electricians, HVAC teams, and plumbers can all work efficiently in the same areas. Southern Air also provides benefits such as health care plans, a 401(k) match, vacation and holiday pay, and offers money for schooling, whether toward a degree or trade-specific certification. Community Impact: The company has created a certified in-house apprenticeship program that trains young professionals in their craft and prepares them with the skills they need for success in the industry. Southern Air serves local schools by donating materials and sending representatives to teach classes and connect with students at career fairs. It has also partnered with United Way for 26 years, in addition to the Lynchburg Regional Business Alliance, the Red Cross, and workforce boards throughout Virginia.